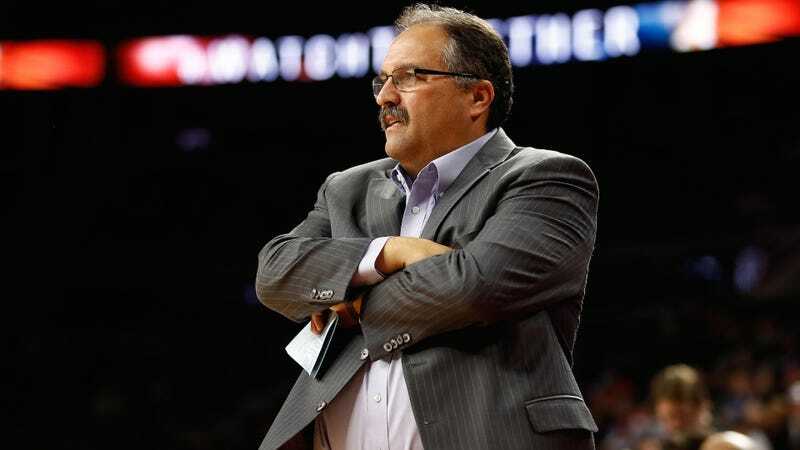 Stan Van Gundy praised the work of Colin Kaepernick and other athletes who have protested racial injustice in an op-ed for Time magazine today, complete with a list of specific policy proposals on the subject. Van Gundy takes the space to be thorough here—acknowledging that, as a white guy, he’s hardly an expert on race, but noting he takes the topic seriously as a coach in a league that’s 75 percent black. He writes about how he’s broached the subject of racial justice with his team and touches on the historical context of protest as a catalyst for change in America, not despite the fact that it often makes people uncomfortable but because it does so. Public conversation around the anthem protests has frequently been reduced to shouting over the optics and significance of the anthem itself, rather than the meaning of the actual protests. Van Gundy avoids this, anchoring his piece with a discussion of the ways in which systemic racial inequality is still rampant—specifically noting the work of the Players Coalition, the criminal justice reform group of NFL players, to counter these. He lists several of the policy initiatives the group is working on, including the abolishment of mandatory minimum sentences and cash bail. Stan Van Gundy On Trump&apos;s Victory: "We Have Just Thrown A Good Part Of Our Population Under The Bus"